Essential Property Maintenance is a landscaping contractor based out of Calgary, AB. We specialize in landscape design and construction services for homeowners wishing to landscape their front yards or frontage properties. We offer everything from planning out and planting new gardens to planting a hedge or privacy barrier from road traffic to creating walkways and pathways, boulder gardens and more. We’ve got great low maintenance ideas for your front yard! Schedule your FREE Calgary frontyard landscaping estimate today! Deciding what to do with your front yard can be confusing when there are so many options available. The honest truth is that landscaping decisions can quickly be made (or at least narrowed down) when you start with a serious and realistic budget. 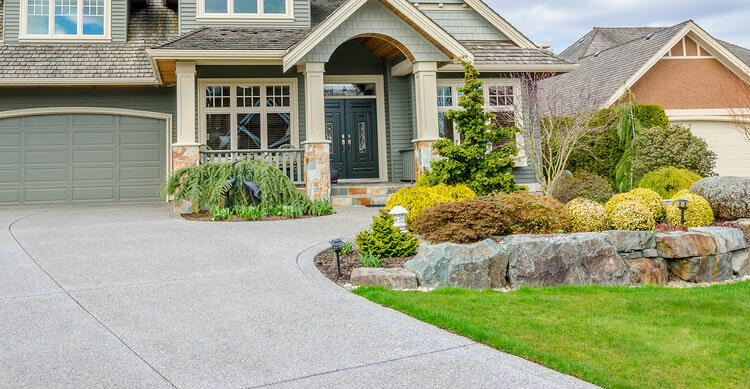 Don’t forget the kicker – your front yard required on-going maintenance. Many homeowners always forget to take into consideration the cost and time required to maintain a beautiful intricate landscape. Our free estimate service is designed to help property owners make the decision on what service they need, taking costs into consideration before ever even committing to a project.